This polling undermines a lot of the foreign narratives about the current government. 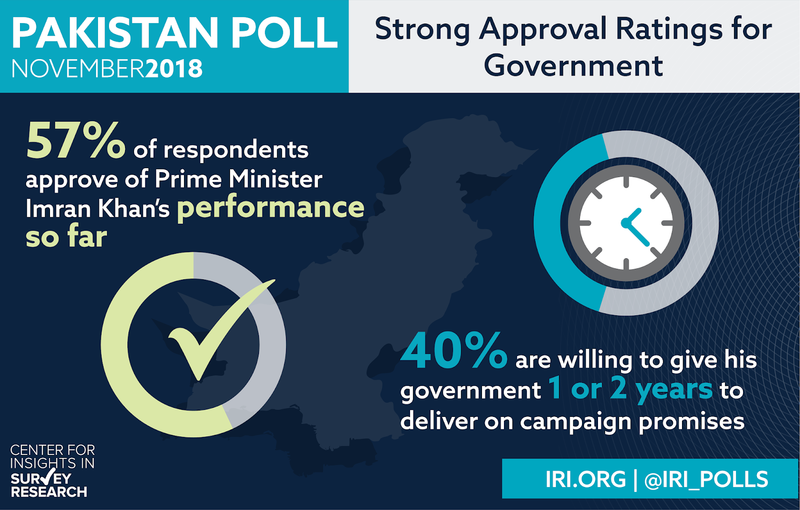 Also these numbers are likely even more favorable to the current govt after Balakot (poll was done in Nov). I have supported PMLN but the poll seems to be true. Part of the reason may be strong Army support as most people, except some intellectuals, trust Army. But NS party is not dead or defeated. It has strong support base also. The poll is conducted between Nov. 1 until Nov. 22, 2018, when the government was infecting people with their fake "austerity" campaign, police reform dream, economic gains etc. and also by then, the economic pressure was not as severe as now. That time IK's U-turns on funds for MNA/MPA, IMF, interventions in police and bureaucracy, U-turn on police reforms etc. did not surface. Now, everyone knows that what the govt is capable of and people know very well that the government can only move their lips on someone else’s voice. People are very well aware of who are the real architects of the policy and actions after Pulwama crisis and even now. MA: " The poll is conducted between Nov. 1 until Nov. 22, 2018, when the government was infecting people with their fake "austerity" campaign, police reform dream, economic gains etc." The IRI poll is old. In the post-27 Feb, 2019 downing of IAF planes and capture of Indian and Israeli pilots, IK popularity has increased tremendously. This is because of the realization that Pakistan retaliated to the Balakot strike only because IK was heading the country. Had it been NS or AZ, they would have towed the Indian line for some petty benefits for themselves in return. Their reputation of being nothing more than pimps of Heera Mandi who are only interested in making money making deals, has been widely confirmed and accepted by Pakistanis. 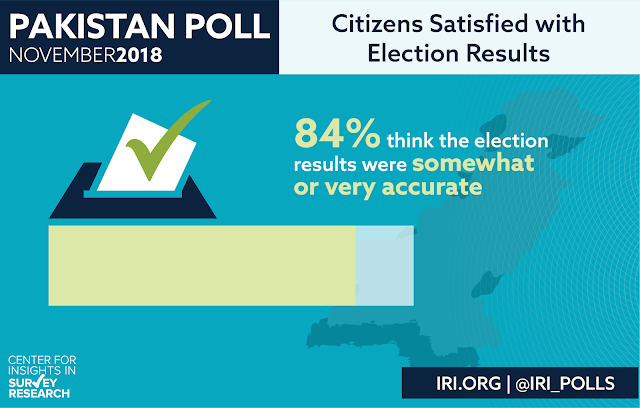 For the first time, Pakistanis are feeling a sense of pride. Suhail: IK popularity has increased tremendously. This is because of the realization that Pakistan retaliated to the Balakot strike only because IK was heading the country. I agree that IK's popularity has probably significantly increased after his deft handling of India post-Pulwama. The only instance where Pakistan may have been taken by surprise was the first Balakot air attack. After that we got prepared so further strikes by India were prevented. The strikes Shams wanted were on the cards but India had credible evidence that retaliation was assured, so the deescalation. Had NS been in power instead of IK, there may have been a couple of other staged dummy strikes (of benign nature) to leave India on higher tactical grounds, saving face for Modi. The handling of the situation by IK is qualitatively different from how it would have been done by NS or AZ. Had NS been in power, even then there would not have been the strikes as Shams wants, because all of the independent Sindh proponents (with only one exception) were onboard in making money of the opportunity, being junior partners to NS, the HM pimp in charge. possibility of a PK Retaliation. You are just as naive as Indian Hindu Nationalists who, in the words of Sashi Tharoor, suffer from "Israel Envy".